What do you do on your 28th Wedding Anniversary? How about going for dinner and then on to the theatre to see a show. Thats exactly what we did on the 8th August. 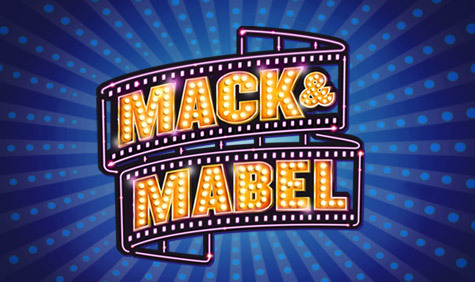 Earlier in the week we managed to get tickets for Mack and Mabel at the Chichester Festival Theatre. But we didn’t get a table to eat, so we thought we would chance it as we would be eating early. No such luck initially, we tried the “Ship Hotel” and “No1” of which are both close to the theatre. Anyway as we came back towards the city centre, we passed Guildhall Street and happened to glance down it. 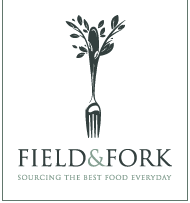 A tiny sign was hanging and it said “Field and Fork“. We thought it must be a restaurant and strode towards it. We were in luck, table for two we asked, certainly they said. This place was amazing, nicely decorated, old style and not to noisy. The staff are very pleasant and accommodating and the food was fantastic. We had three courses, two drinks and coffee and it was £75, that was very reasonable for the excellent food we received, this is what we had. The story was about Mack Sennet who brought us “THE KEYSTONE COPS” and Mabel Normand’s rise to fame in the 1920’s, and unfortunately her untimely death in 1930 following years or drug and alcohol abuse when she become famous and got in with the wrong crowd. The story is a love affair of sorts and sees the trials and tribulations of Mack Sennet’s directing and love for comedy and Mabel’s unquieted love for Mack Sennet and wanting to be more than just a comedy actress. This is a musical, apparently it was slated by the critics, but from our point of view and with Michael Ball playing Mack Sennet and with a fantastic supporting cast and musicians, the whole performance was brilliant. The Chichester Festival Theatre is laid out so that the audience is seated around the stage, so everyone gets a good view. Although the scenery was sparse, what scenery they did utilise and with media effects through out, really brought the show to life. If you are able to see it, go, its not your usual type musical with known songs, but something different that tells the story of two people very fond of each other, but wanting different things. So, people, if you are going to make it a date with a loved one or maybe someone else, why not try dinner and then the theatre, it may be an expensive afternoon / evening, but I am sure that it will be appreciated and thoroughly enjoyed.